Interlocking design of the shelves and dividers add extra strength to hold up to the heaviest load. Wide shelf fronts serve as generous label holders. 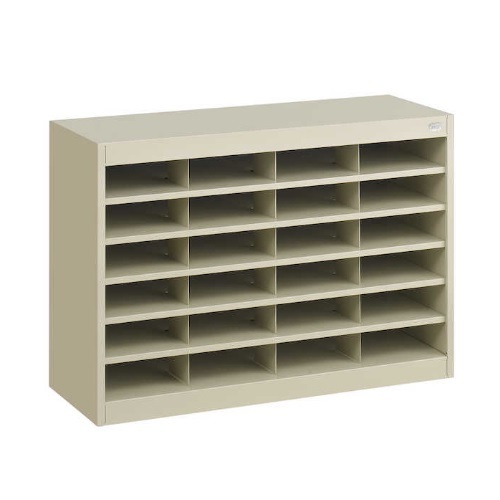 Unit features 24 letter-sized compartments. Each compartment will hold up to 750 sheets.